From the Publisher: It’s the most popular circus in Animal City–Circus Puppy is going to perform! They’ve got all sorts of dogs, like French Bulldogs, Corgis, Huskies, and Shiba Inus. The show is about to start, but some of the dogs got lost chasing a butterfly! Seems like Dogee, their leader, has no choice but to let rookies go on the stage with the senior dogs. Will these stunt pups perform a great show for you? 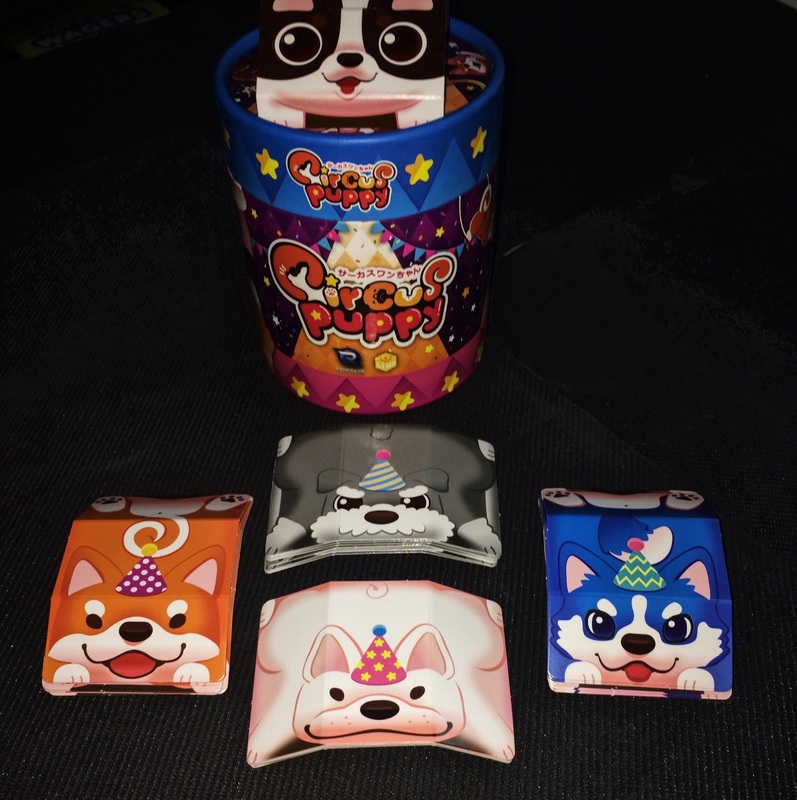 In Circus Puppy, you will be playing cards from your stack of dog cards and building them on top of other dogs, scoring points and trying to be the first to 30 points to win. 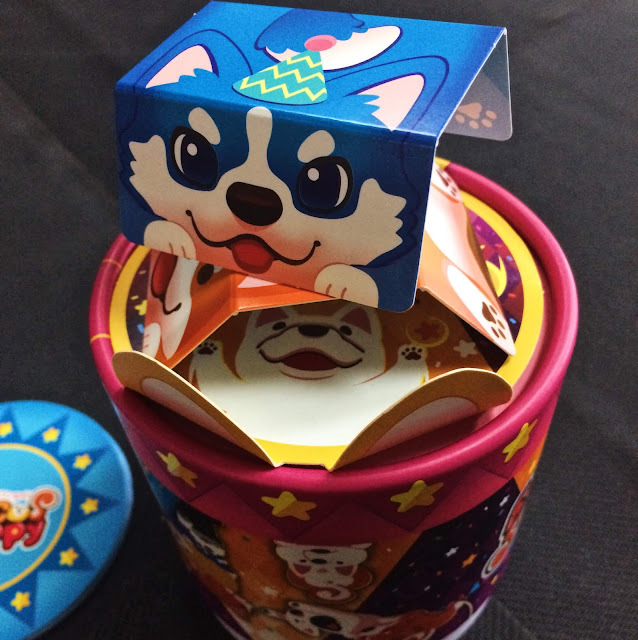 Setup of the game is fairly quick and consists of setting up the two stages (you’ll use the container the game came in, as well as the lid of the container to represent the stages), creating a draw pile of cards, and ensuring that all the dog cards have been folded along their creases to help in the stacking. 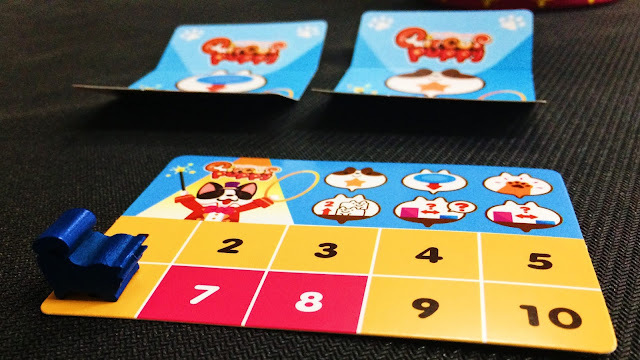 You begin by having each player pick one of the dog types and taking all the cards of that type, along with a scorecard and meeple to track their score. Place them face up in a pile in front of the player. You’ll then turn over the container the game came in, making it the large stage. 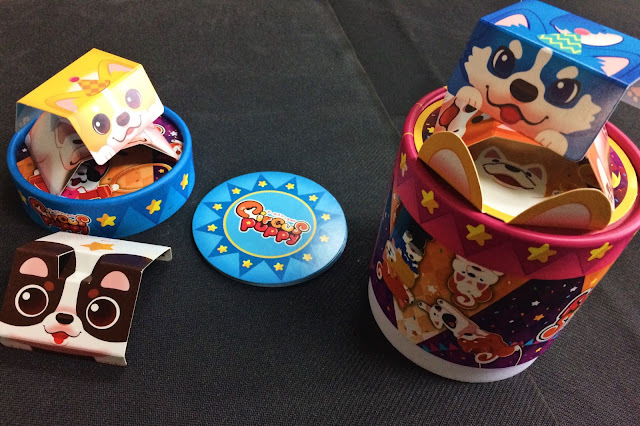 You’ll place the container cover down as the small stage and place the stage cards on the side of those. Take the stage card that has ears on it, and place that on the bottom of the large stage. Finally, take all the remaining dog cards, shuffle them and place them in a pile to be drawn from. Draw 4 cards from that pile, and stack 2 on each stage. 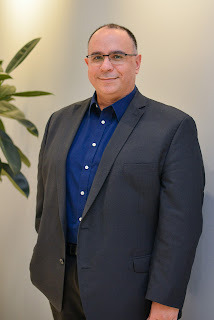 The game is ready to begin. Each player will be drawing a card from your dog’s deck and performing that action to stack on the appropriate stage. Cards have special abilities that you will need to follow to place the card on the stage. As you move along the scoring tracker, you’ll see stars that cause you to turn over additional cards that give you more actions. You can also use any cards that you have placed face-up instead of drawing a card from your pile. Cards that fall when you are stacking the dogs go to the bottom of the draw pile. That player then draws the top 2 cards from the draw pile and place face up in front of them. Each card that is not used in your deck or face up at end of game is negative one (-1) point. Thematically, the game fits well with the circus theme. With 2 different stages, and the artwork and theme of the cards surrounding the dogs doing tricks on the stage, this really works! Mechanically solid, with a simple mechanic of using a single card to pick up other cards and try to stack them. With the addition of abilities, it does add a bit more skill than just simple stacking but adds to the game and theme. Gameplay is fast and smooth, and when playing with younger children, simple enough that the game will continue. While the game says it can support ages 6+, you’ll want to make sure the child playing is able to grasp and hold the cards to pick up the other ones. Just slight dexterity needed for that part, but easy. 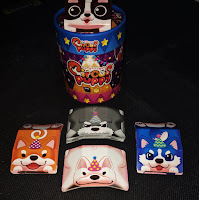 With the addition of abilities on the cards that allow for others to help, or have you moving dogs from one stage to another, you have enough differences in this game to make it fun compared to any other stacking game similar to this. The artwork is excellent and follows what we’ve seen from Aza Chen and the other game that came before. 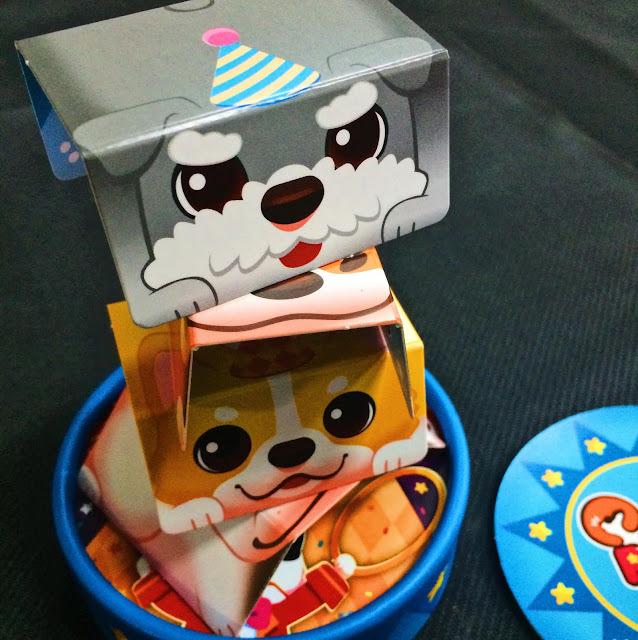 Cute dogs and bright colors draw the eye to the game--even to the round container that is used as the stages. Component level is excellent, and the card stock used is easily stiff enough to handle multiple folding and storage without any issues. 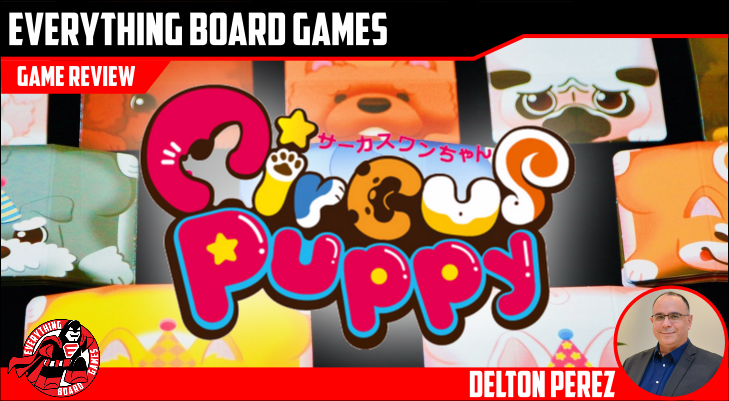 Circus Puppy is so quick to play, and fun with kids of any age (6-99+), it’s easy to see how this can hit the table often. Simple rules, fast game session, simple scoring, and bright colors all make this a hit on the table. The game can come across as a bit simple for the ‘serious’ gamer, and people who are not good with light dexterity may have issues with this. And by light, it really is being able to just stack a folded card onto another card and being able to balance it. Aza Chen has brought us the best of the series that Renegade Game Studios has brought to us, showing us the same excellent artwork that we’ve come to expect, and added more game mechanics to an already cute and fun series. With the ability to play with younger children, you are going to be putting this on the table during family events or when you want to engage the children with gaming.